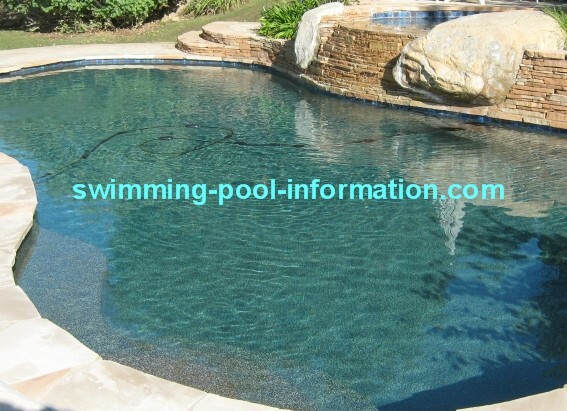 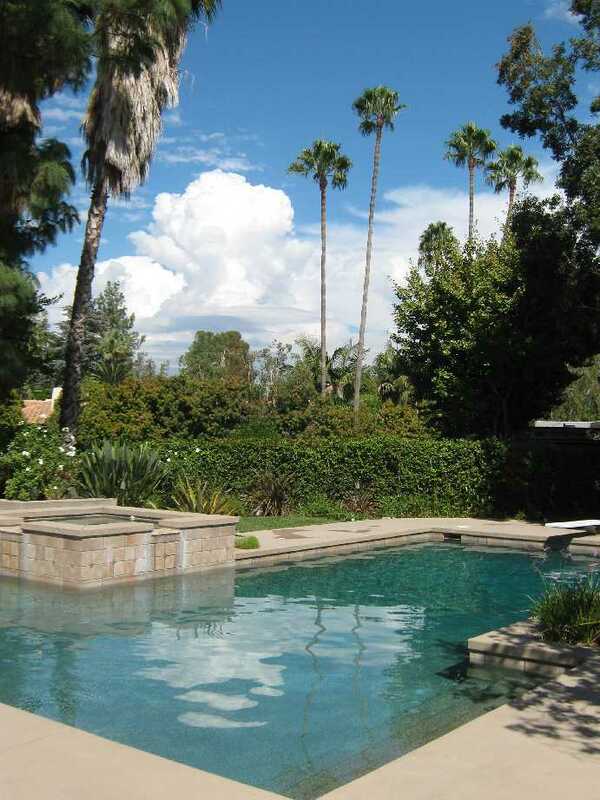 This page is for pictures of swimming pools.If you have a noteworthy pool photo please contact me. 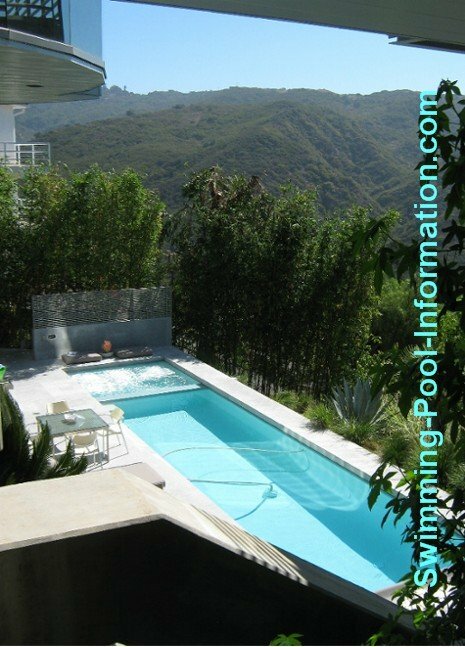 I must re-size photos to 100 KB or less, so some photos of swimming pools may not look as good online as original. 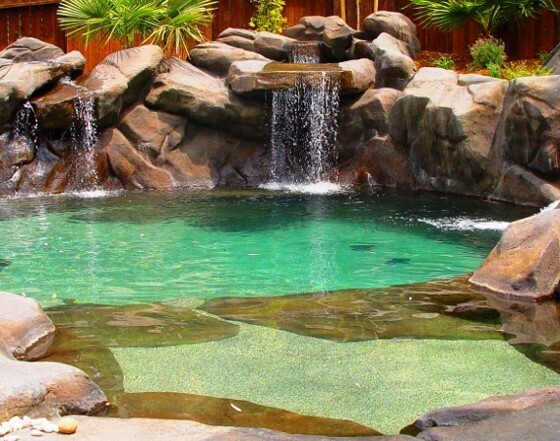 I am looking for extra-ordinary pool photos (or spas), such as all tiled pools or pools with beautiful waterfalls. 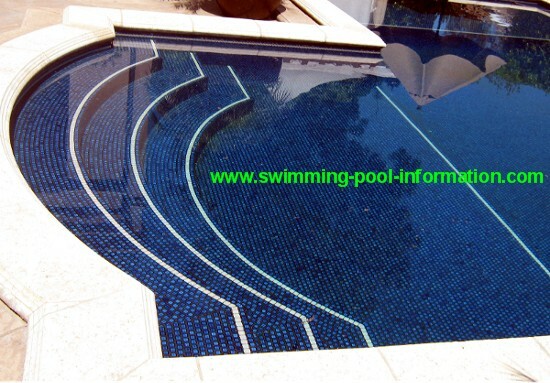 About halfway down the page is an all-tiled pool with cobalt blue tiles, the dark color has a solar like effect to draw in heat, and the pool is easy to maintain-not to mention beautiful! 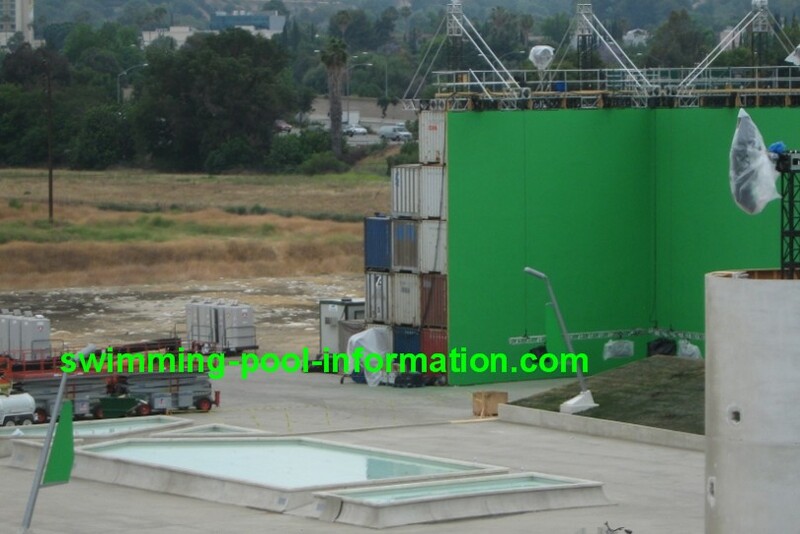 The "pools" below are from a movie set that is in production (July 2009) perhaps you will remember these when the movie comes out! 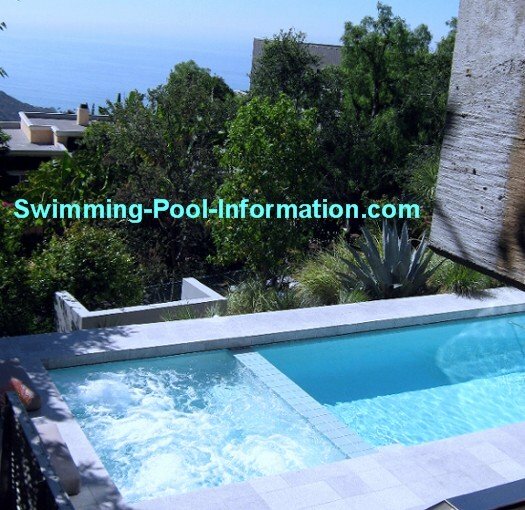 The pool below is by a company called natural design. 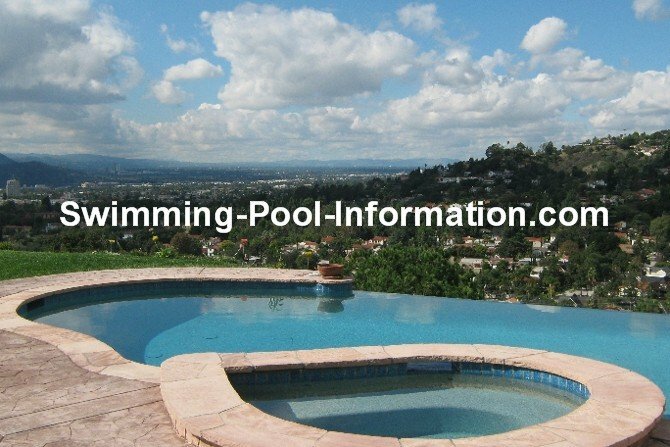 A link to their site is below photo. 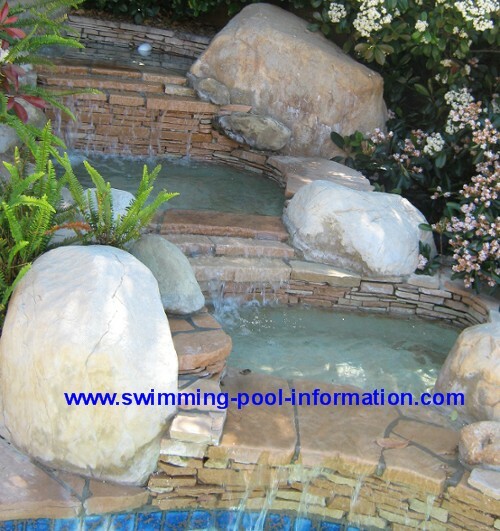 This is a dark plaster pool with real rocks and a small waterfall going into the spa shown in the photo below. 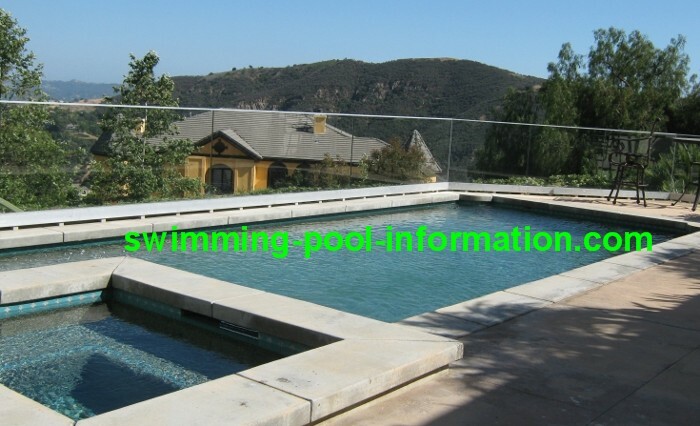 The top photo is the waterfall going to the raised spa shown flowing into the pool below that. 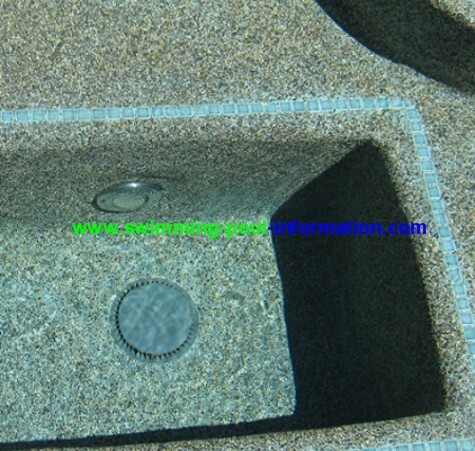 The photos below are the same pool after being resurfaced with a pebble finish. 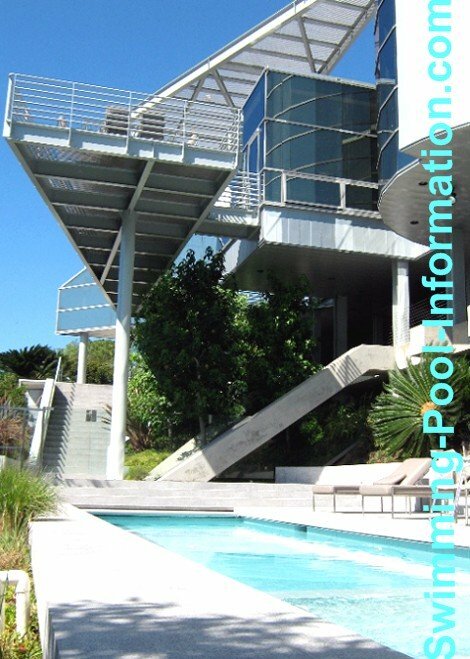 The round "donut" on the pool below is a cement water slide coated in smooth plaster. 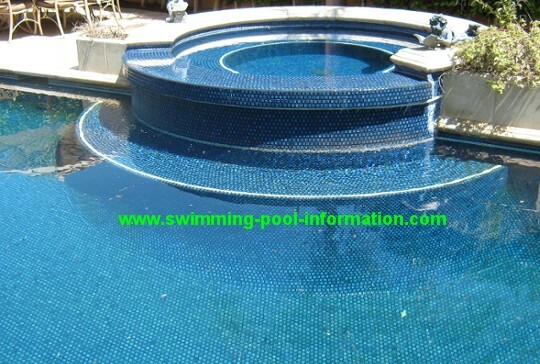 The pool above is coated with a surface of small smooth stones and a resin-like coating which is durable and beautiful. 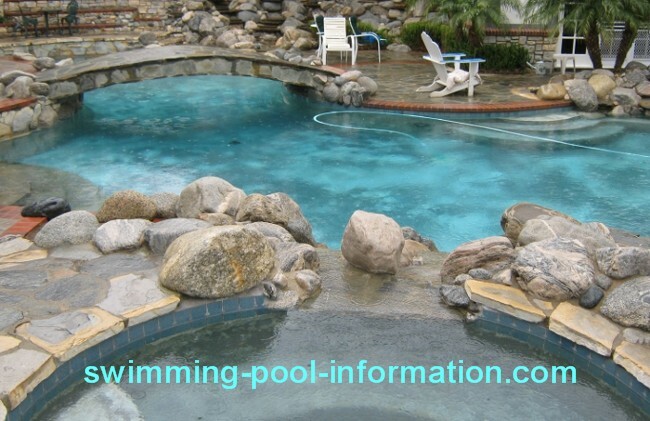 More information on this on the "pebble pool coating" page in the pool resurfacing section. 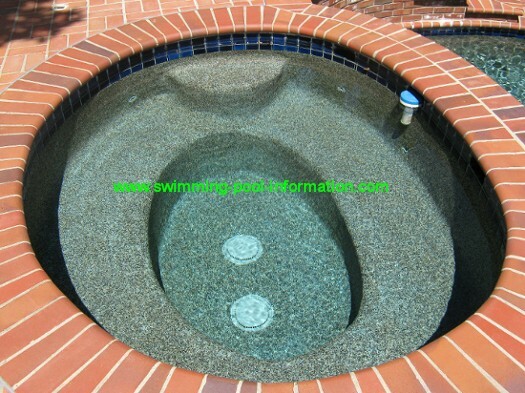 The spas above are also coated with the small smooth pebble finish. 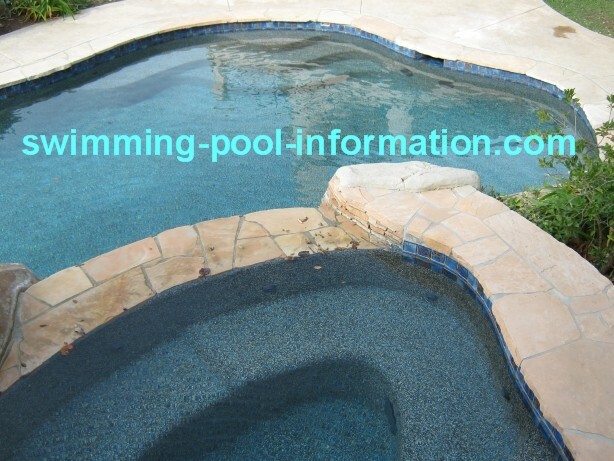 The spa on top is a close up of the pool shown above it, the spa with brick coping belongs to the pool below. 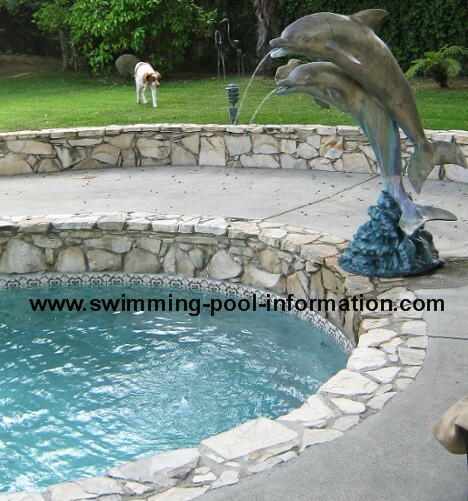 The dolphin statues were a nice touch.